An update on last night's creepy blue glow that lit up the sky over Roosevelt Island, Astoria and the East River waterfront seen from much of NYC. No, it was not the beginning of an Alien Invasion of Roosevelt Island as some thought. Last night at 9:12 p.m., an electrical fault on a section of 138,000-volt equipment in one of our Astoria substations caused a transmission disturbance and a sustained electrical arc flash, creating the blue light people witnessed. The equipment that malfunctioned is associated with voltage monitoring within the substation. There were no serious injuries, although one employee at the substation reported eye irritation associated with the arc flash. The transmission disturbance caused lights to flicker throughout much of our service area, and several facilities, including LaGuardia Airport, Rikers Island, and some area hospitals, reported that their electrical systems switched to backup generation during the event. They were back on Con Edison power late last night. Service on the subway system’s 7 line in Queens was also impacted for about 30 minutes while track equipment was reset. Some other customer electrical equipment also shut off and had to be reset. We apologize for the disruption to customers and will continue to investigate the root cause of the incident. A TRANSFORMER EXPLOSION AT THE CON EDISON PLANT AT 23RD STREET AND 21ST AVENUE HAS CAUSED A FIRE AND TEMPORARY POWER OUTAGE IN ASTORIA QUEENS. EMERGENCY PERSONNEL HAS THE FIRE UNDER CONTROL. DEPUTY INSPECTOR NUNEZ, COMMANDING OFFICER OF THE 114TH PRECINCT OF THE NYPD ON SCENE. 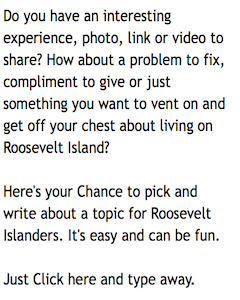 THIS INCIDENT DOES NOT APPEAR TO HAVE HAD ANY EFFECT ON ROOSEVELT ISLAND. Here's more info and video from post yesterday. Governor Cuomo spoke at the Astoria Con Edison power plant this afternoon. Governor Andrew M. Cuomo today called for the New York State Public Service Commission to investigate the cause behind a major electrical failure at a Con Edison substation in Astoria, Queens shortly after 9 p.m. yesterday. While the incident did not cause any significant injuries or apparently result in damage to personal property, it did raise questions about the safety of the substation and Con Edison equipment while also disrupting operations at LaGuardia Airport, the No. 7 subway line of the MTA and the city's prison system at Rikers Island, which had to switch to back-up generators. "The electrical failure in Queens was more dramatic than destructive but it understandably raised community concerns about the safety of the substation and Con Edison's equipment," Governor Cuomo said. "That's why I am asking the Public Service Commission to work together with Con Ed to investigate the electrical failure and identify the root cause to help ensure an incident like this never happens again. The state also deployed Department of Environmental Conservation spill response staff to the scene and confirmed that the small amount of material spilled was contained onsite and no impacts to the environment were observed. Con Edison has reported that the spill has been cleaned up. According to Con Edison, last night at approximately 9:12 p.m. an electrical fault occurred at the Astoria East Substation located at 20th Avenue and 32nd Street in Astoria Queens. The electrical fault on the 138,000-volt equipment caused a sustained electrical arc flash that was visible across a wide area. Con Edison crews responded with FDNY. The affected equipment was isolated to a single section within the substation. Con Edison has reported that Thursday's malfunction involved voltage-monitoring equipment at the substation, where high-voltage power is narrowed down to lower voltage for distribution. Normally when there is an electrical fault, a device similar to a circuit-breaker intervenes and quickly cuts off power to the affected equipment. In this incident, the device did not intervene and the electricity kept cycling through, causing the electrical flash. The affected equipment was isolated to a single section within the substation. "Ensuring public safety is job number one for Con Edison and all utilities operating in New York State," PSC Chair John B. Rhodes said. "Our team of safety experts will commence an immediate investigation of what happened at the substation to help ensure that a repeat does not occur. If the company failed to adhere to our safety standards or otherwise adequately perform its obligations, we will commence a proceeding to determine whether further action is warranted." Con Edison has restored all major transmission lines associated with this event and is in the process of investigating the cause of the failure. While portions of LaGuardia Airport were temporarily closed due to power outages, full power has been fully restored and the airport quickly resumed normal operations. Additionally, power issues on the No. 7 subway route were resolved and the line is running local service. There were no other significant reported power outages. Today's actions build on New York's continued work to protect public safety and to create a power supply that is cleaner and greener for the future. Two years ago, Governor Cuomo announced plans to accelerate the closing of Indian Point's nuclear reactors because of their location in a densely populated region of the state and their record on safety at the site. This year, New York will be the most progressive state in the nation with the launch of the green new deal that will make the state's electricity 100 percent carbon neutral by 2040. According to the MTA, there will be Roosevelt Island F Train service this weekend. The sky over Roosevelt Island, Astoria, Long Island City and the East River lit up this evening after 9 PM with a very creepy bluish glow. What was going on? Some speculated an alien invasion. It was ... like an alien invasion, or some sort of nuclear accident. That eerie hum ... People at Astoria must have been terrified. NYPD reported that it is investigating a transformer fire at Astoria Con Ed Power Plant. Investigating a transformer explosion at Astoria East & North Queens Con Ed power plant. Please avoid 20th Ave & 31 st. It blazed like blue daylight on Roosevelt Island!!!! Thought aliens where coming to save us from Trump! ROFL!!! It was actually refelecting off the East Side Buildings. Crazy bright. Roosevelt Island and Upper East Side NYC Council Member Ben Kallos publishes a monthly newsletter full of information he hopes is of interest and useful for his constituents. 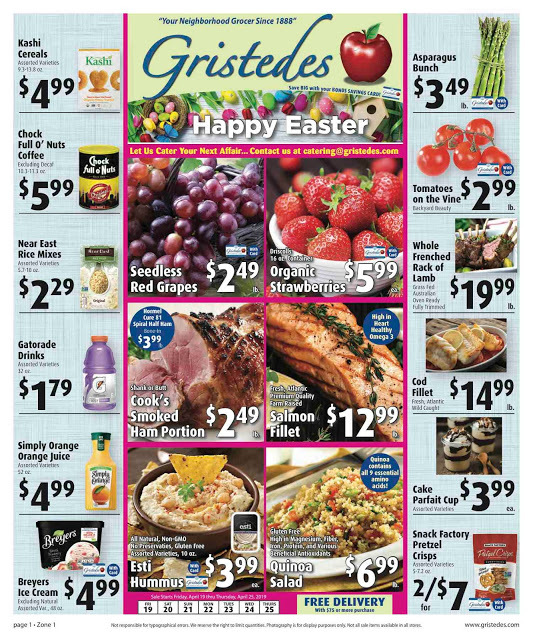 In one case, an item in the Kallos monthly newsletter saved the life of an Upper East Sider. ... a 49-page monthly bulletin for Upper East Siders helped one resident detect, deter and defeat a deadly disease. 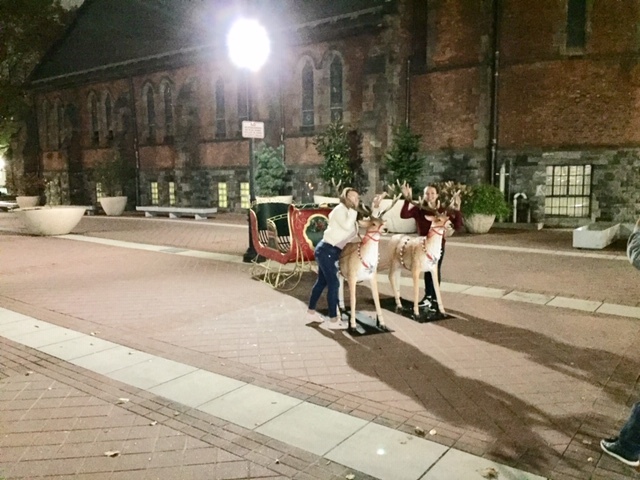 Click here to read the full Our Town story and here for the December 2018 newsletter from Council Member Ben Kallos. 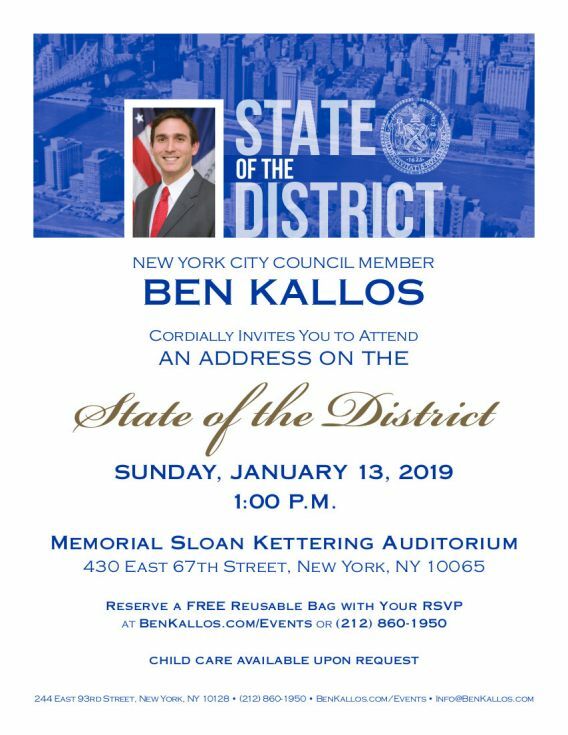 Also, you're invited to the January 13 NYC Council Member Ben Kallos State Of The District address. Here's the Roosevelt Island Beacon Program First Graders wishing you all a Merry Christmas during the November 30 2018 Tree Lighting Ceremony. 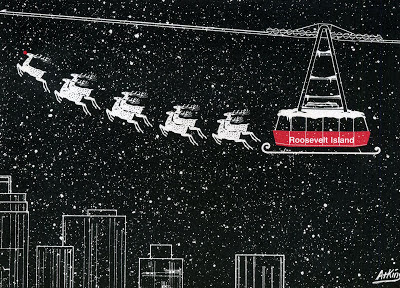 It's Christmas Eve, Santa Claus Is Coming To Town Tonight - On The Roosevelt Island Tram Cabin Sled? Reports are coming in of Santa Claus sightings from all around the world. You can even follow him with the aid of Norad's Santa Tracker. It's Christmas Eve, so time for Fairytale of New York with the Pogues & Kirsty MacColl. As reported earlier this week, Roosevelt Island Operating Corp (RIOC) Public Safety Department Chief Jack McManus is taking some time off for medical reasons. 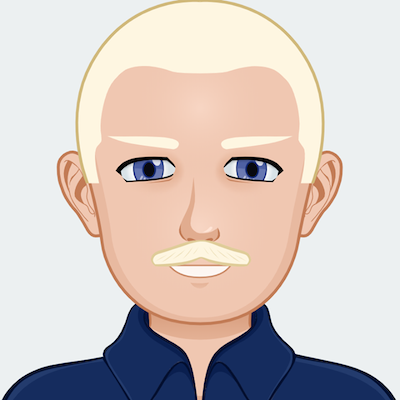 During the time Public Safety Department Chief Jack McManus is away from his Roosevelt Island post, we will publish an occasional column of his thoughts on various timely topics. As many of you know, McManus gained the trust and respect of thousands here on the Island by his daily conversations, up and down Main Street, with seniors, children, young families, teen-agers; the disabled, business owners and more. Enjoy his factual musings this week on the holiday season. “The holiday season is always a special time. It is also a time when busy people become careless and vulnerable to theft, accidents and other holiday crimes. Here are a few of my tips for staying safe, sane and knucklehead free. 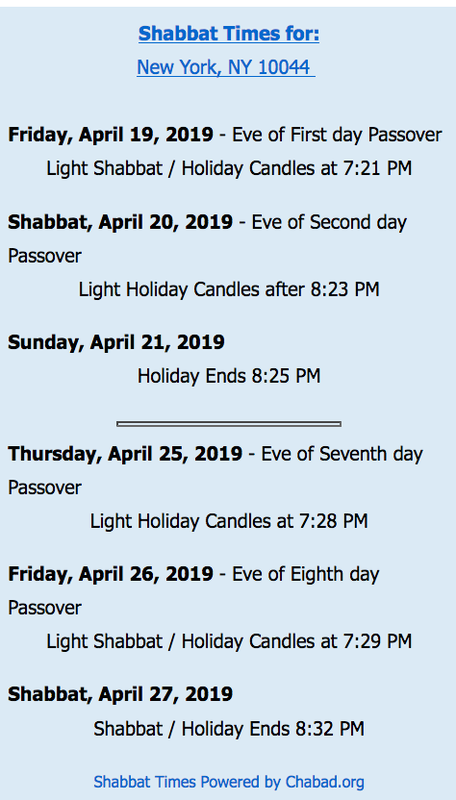 The top three days for potential home candle fires are Christmas, New Year’s Day, and Christmas Eve (let’s add in the Hanukkah and Kwanzaa weeks as well for our Jewish and African Americans friends). Please keep flammable items, including curtains and holiday decorations, at least three feet away from your candles. Place your menorah or kinara on a non-flammable surface to catch the melting candle wax, such as a tray lined with aluminum foil. Never leave lit candles unattended. Keep all your car doors locked and windows closed while in or out of your car. If you must shop at night, (hello procrastinating husbands and boyfriends) park in a well-lit area. Do not leave packages or valuables on the seat of your car. This creates temptation for thieves. Even though you may be rushed and preoccupied by a thousand things, remember to stay alert to your surroundings. Exercise extra caution if you carry a wallet or purse; they are the prime targets of criminals in crowded shopping areas, New York City subways, bus and ferry terminals and stops. Don’t overload yourself with packages and bags of gift purchases; make two trips if you must. Beware of strangers approaching you for any reason. Con-artists may try to distract you with the intention of swindling your hard-earned money or belongings. Large displays of holiday gifts should not be visible through the windows and doors of your home. Show-offs get ripped off. If you’re hosting a party, be kind and responsible by having non-alcoholic beverages available to your guests. Arrange for an official designated driver (who will not drink at all) for the party before it begins. Eat before you drink; preferably high protein foods that slow the absorption of alcohol into your body. Know your limits, the holidays are not the time to explore them. And please don’t drink and drive. 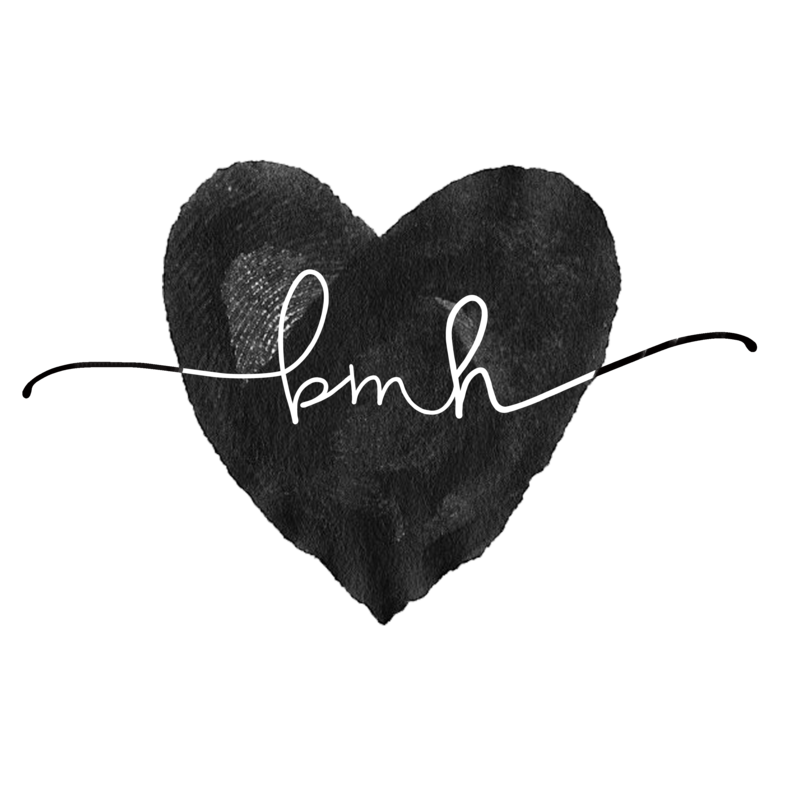 I hope you guys enjoyed my first column.